Hum & clap to these favorites! “Memories In Song”: A definitive collection of specially enhanced Folk and Gospel songs that changed the sound of music forever. This one collection captures the complete essence of sing along music. The comprehensive set includes songs that have been with us through the decades, to the greatest hits from the folk revival of the '50s, the legendary folk scene of the early '60s, the emergence of early folk rock, and the beginning of the singer-songwriter era. 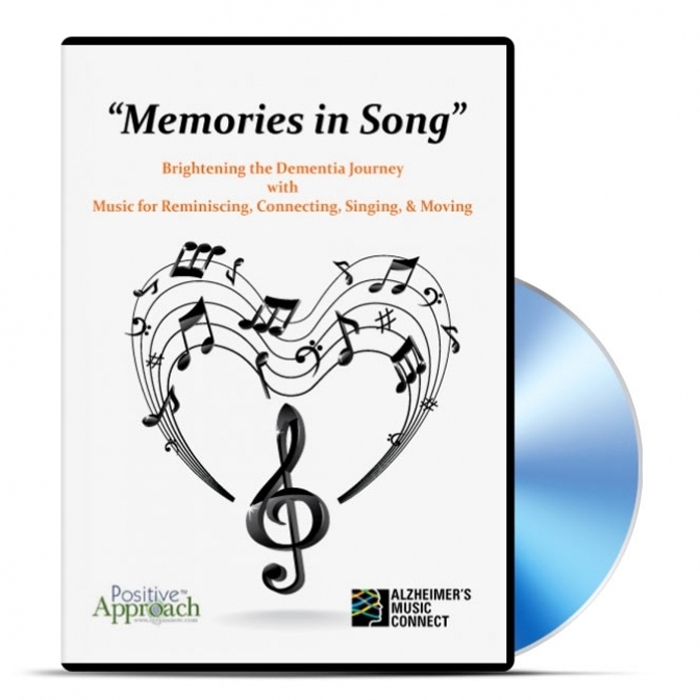 Developed by Teepa Snow, “Music & Gems” compares the abilities of Alzheimer’s Care Recipients at the various stages of the disease through her classification model called Gems. It also illustrates how to best utilize music to bring connection, joy and happiness into the life of the isolated and detached Care Recipient. Lead Vocals: (1) Vanessa Campagna (2) Kelsey Friday (3) Jeff Jimerson (4) Paul Newman (5) Tara and Eric Park (6) Carrie Schultz (7) Shelby Styer (8) B.E. Taylor (9) Shawn Tustin (10) Deb Witkowski (11) Rick Witkowski. Musicians and Background Vocals: Bob Banerjee (Violin and Mandolin), Vincent Deladoti (Background Vocals), Bobby Hird (Slide Guitar and Background Vocals), Jamie Peck (Accordian), Anthony Rankin (Banjo), Mike Styer (Background Vocals), Rick Witkowski (Acoustic Guitars, Bass, Percussion and Background Vocals). Altus Oscillation™—enhanced music will have the same effect on non-Alzheimer's/Dementia listeners. Never had such participation from residents! Their smiles and singing along with the songs was amazing! Looking to purchase more!